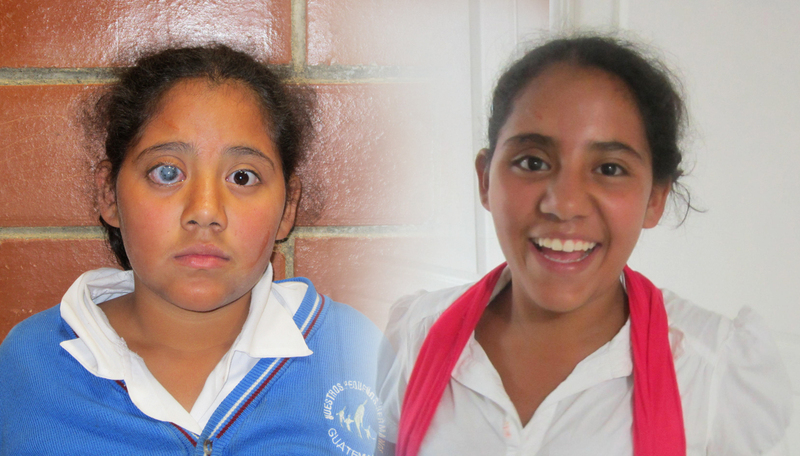 Laura* was 11-years old when she and her two brothers arrived at NPH Guatemala in 2011. It was obvious that Laura had vision problems in her right eye due to mistreatment in her previous living environment. After treatment to try and save the eye, and consultation with an ophthalmologist, Laura’s eye was removed and a prosthetic eye was implanted. Now, two months after the surgery, we can see that it has been a great success for Laura physically as well as psychologically. Laura not only looks great with a big smile but you can see in her face that her self-esteem has improved. NPH goes to great lengths that all children receive quality medical care.